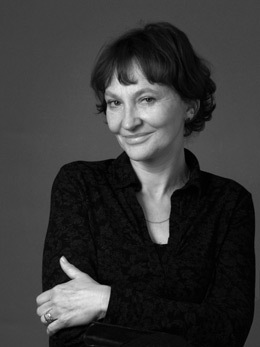 Czech painter, sculptor, poster designer and illustrator. In the years 1895 – 1904 he was one of the best-known originators and representatives of the Art Nouveau style in Paris. His posters, theatrical as well as commercial, his decorative panneaux and his designs for interior decorating, set the trend of the time and co-founded the Art Nouveau style. Mucha’s bibliophile publications rank among the world’s golden fund of beautiful books. He participated in the 1900 World Exposition in Paris with several collections, and decorated the interior of Bosnia’s and Herzegovina’s Pavilion there with his paintings. Since 1888 Alfons Mucha lived in Paris doing illustrations. His popularity began to rise enormously from the end of 1894 when he designed the first poster for the worshipped actress Sarah Bernhardt, in the play Gismonda. Unlike most of the somewhat garish, brightly-coloured posters of the time, suddenly a different one appeared, attracting attention with its subdued pastel colouring, melodiously flowing lines and perfect draughtsmanship. From then on Mucha had no lack of commissions. Mysterious and beautiful women, so typical for his posters, invited Parisians to the theatre, offered them wine, biscuits, bicycles, magazines, cigarette papers. They promoted fashionable spas, the French railway, the World Exposition. 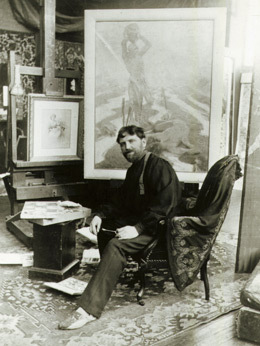 Mucha’s studio in rue Val-de- Grâce, cluttered with antiques, precious carpets and silk curtains, was one of the most fashionable centres of Parisian Art Nouveau. Mucha was an excellent host, always willing to apply his other, musical, talent. Art collectors soon compelled him to design decorative panneaux, so popular at the time, personifying the seasons, flowers, precious stones and stars. Women in his posters and panneaux were endowed with a precise balance of exciting eroticism and inaccessibility. They were draped in the gentle splendour of their gowns and hair; their necks and hands were adorned with flowers and extraordinary, somewhat exotic, jewels. Everything was enclosed in a beautiful undulating contour, which had the power of giving the whole scene its typical image and rhythm. The French spoke of Le style Mucha. No wonder that popular actress Sarah Bernhardt, who had an extraordinary sense for publicity, secured Mucha for herself with a six-year contract. He designed a whole number of beautiful posters for her, but soon began designing her theatrical costumes and accessories as well, including jewels. From there it was only a step towards his collaboration with the foremost jewelers. The most significant of these was certainly Georges Fouquet who had a boutique and workshop in the fashionable Rue Royale. Mucha designed Fouquet’s stand for the World Exhibition, and some of the jewels he had designed were displayed there. Soon after, Fouquet asked him to design a new interior for his shop. Mucha conceived the task in a grand style and, on a relatively small space, built a fairytale grotto dedicated to beauty. Jewels designed by Mucha were just as unique. The most famous of them was the Snake bracelet. It was an accessory to Medea’s costume for the play of the same name, and can be seen on its poster. It was of such singular beauty that, in the end, Fouquet made it of gold, enamels and precious stones. The bracelet, which has a removable ring attached, is now to be found in the Doi Collection in Japan, the second largest collection of Mucha’s works in the world. Mucha’s first jewels were somewhat spectacular – tiaras, pendants, huge earrings – and could be put to use mainly on the stage or in a showcase. However, Mucha soon disciplined his means of expression into a form that is timeless or, perhaps, is today very contemporary. It undoubtedly has a lot to do with the importance attributed to applied art in the years around 1900 and with Mucha’s fervent wish, to bring art into everything and to everyone. Around 1900 Mucha decided to abandon decorative work and to devote his time exclusively to painting. He still had several commitments to companies and publishers, whom he had promised posters, but he did not want to accept any new commissions. In order to rid himself of continuous demands for designs of jewels and other objects of applied art, he complied with a publisher’s wish and compiled a collection of his own designs called Documents décoratifs. In those days many similar works, devoted to the advancement of the arts and crafts, were being published. Mucha’s was among the best, and served as an educational source in the field in many parts of Europe, Russia and the USA. It also proved to be a source of inspiration but, apparently these plates were never used as models for concrete works. In 1904 Mucha left Paris for the USA, where he hoped to succeed as a portraitist of high society. This plan didn’t work out; however, he was very successful as a teacher in Philadelphia, Chicago and New York. He also decorated the interior of the German Theater in New York. In 1910 he returned home supported by his American patron, the millionaire Charles Crane, and at Zbiroh castle near the Czech city of Plzen (Pilsen), began painting a series of twenty large canvasses called “The Slav Epic”. With some interruptions, it took him 18 years to accomplish. ed on far less grandiose pictures and drawings and decorated some public buildings. He also designed the first Czechoslovak bank notes and uniforms for the gendarmerie of the new Czechoslovak Republic, founded in 1918. Mucha was a distinguished member of the French and later also of the Prague Freemasons’ lodge, and during the last third of his life he dedicated most of his energy to work for this movement. He died of pneumonia in 1939 after an interrogation by the Gestapo, shortly before his eightieth birthday. Alfons Mucha was not only an outstanding artist, but also an excellent musician. He was a very good singer and played the harmonium well. He actually founded a dynasty of artists. His daughter, JAROSLAVA MUCHOVA-TERSOVA (1909–1986), inherited his talent and applied herself mainly to restoring pictures. His son, JIRI MUCHA (1915–1991), studied medicine and took degrees in the History of Art and Oriental Studies. Towards the end of the nineteen-thirties he was a member of the Czech community in Paris. In 1939 he wrote the text to Bohuslav Martinu’s Field Mass. He married the promising Czech composer Vítezslava Kapralova who, however, died a few months following their wedding. His second wife was the English composer Geraldine Thompson. During WWII he was an RAF officer, working at the same time as a war correspondent for the BBC in North Africa, the Middle and Far East. 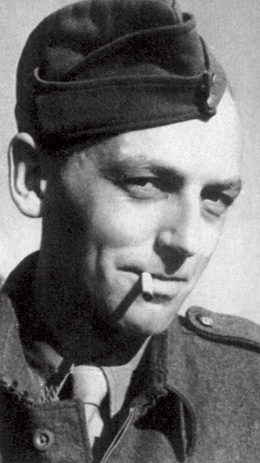 He continued being a journalist after returning to Czechoslovakia in 1945. In the nineteen–fifties he was imprisoned by the communist regime. After being released, he devoted himself exclusively to writing. He wrote twelve novels, some of which have been translated into English, e.g. (1946) The Problems of Lieutenant Knapp, (1948) Scorched Crop, (1968) Living and Partly Living. From the end of the nineteen–fifties he devoted a great deal of time and energy to the promotion and compilation of his father’s works. After exhibitions in London and Paris, Alfons Mucha’s significance was acknowledged in all publications on Art Nouveau. 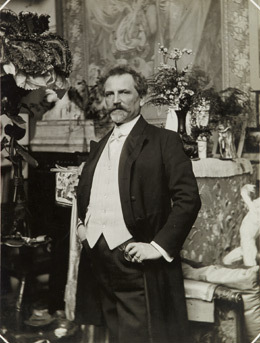 With his friend Marta Kadlecikova, Jiri Mucha wrote a monograph on his father, which was rewritten several times and published in Czech as Kankan se svatozari, as well as in other languages, the English title being simply: Alphonse Mucha. After 1979, the National Gallery in Prague organized many Alfons Mucha exhibitions around the world, above all in Europe and Japan. Jiri Mucha’s contribution to these was significant. At the same time he also made magnanimous gifts of his father’s works to the emergent Musée d’Orsay in Paris and to the National Gallery in Prague. Shortly after the war, Jiri’s mother Maruska introduced to him the 24 year old, beautiful VLASTA PLOCKOVA (1921–2003). It was passionate love at first sight for Jifií and Vlasta; however, both were already married and did not want to break-up their families. Years later, their long-lasting relationship turned into a bond of respect for each other and a friendship that endured until Jiri’s death in 1991. 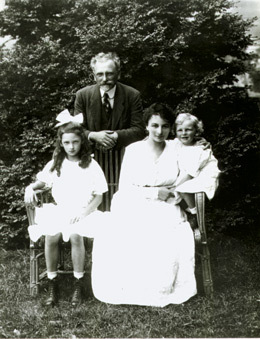 The fruit of their love was daughter JARMILA MUCHA PLOCKOVA. And it is she who has inherited the family artistic talent. Both her daughters, carrying on the family tradition, are very gifted, with a flair for the arts. studies and stage design in Prague, is also an active singer.